Maj Marvin E Gardner has had some serious health problems this past year. He is now living in an assisted living home, but his address is the same as always. He is doing very well now, just can't live at home by himself. 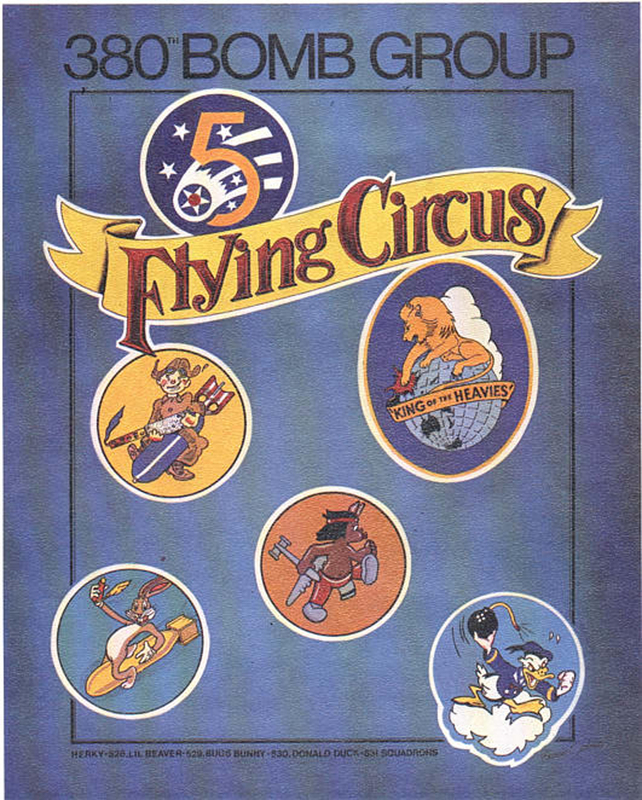 I am in possession of a book "The Flying Circus 380th Bomb Group" "King of the Heavies." 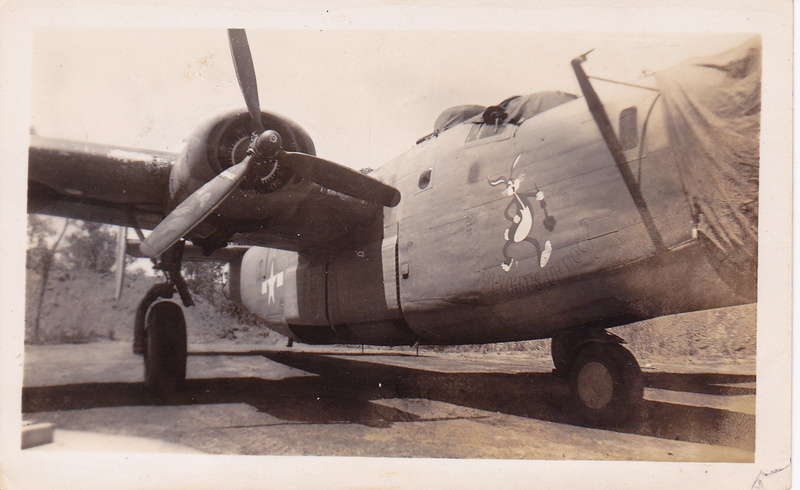 This book is special because it is signed "1st Lt. Fredrick J Irving, 530th Bomb Squadron, 380th Bomb Group, South West Pacific Area. 0-785399." 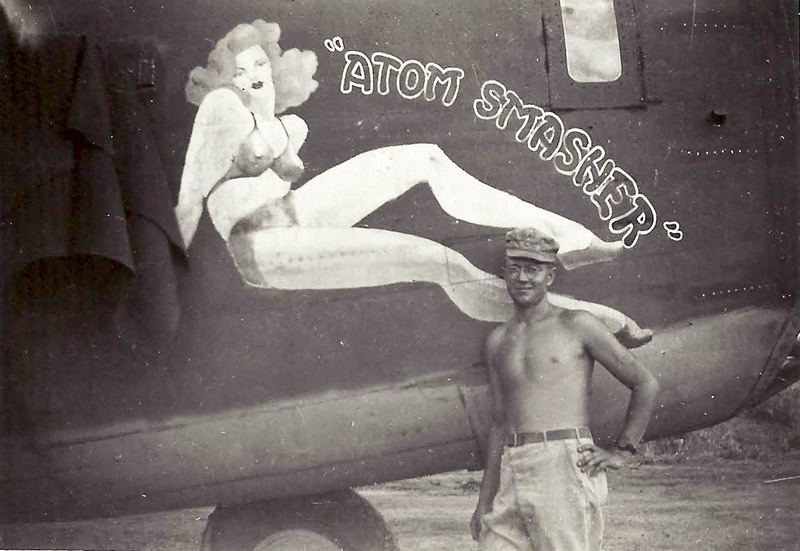 In the back in what I believe to be in his own handwriting is a record of his 25 missions, including date, target, flying position (leader or wing), time in the air, and his mission number. As the book refers to different targets he has penciled in his mission number if he was there. Although this book is quite interesting it is of no value to me. I would like to see it returned to it's rightful owner the Irving family or if this is not possible your organization is welcome to it. 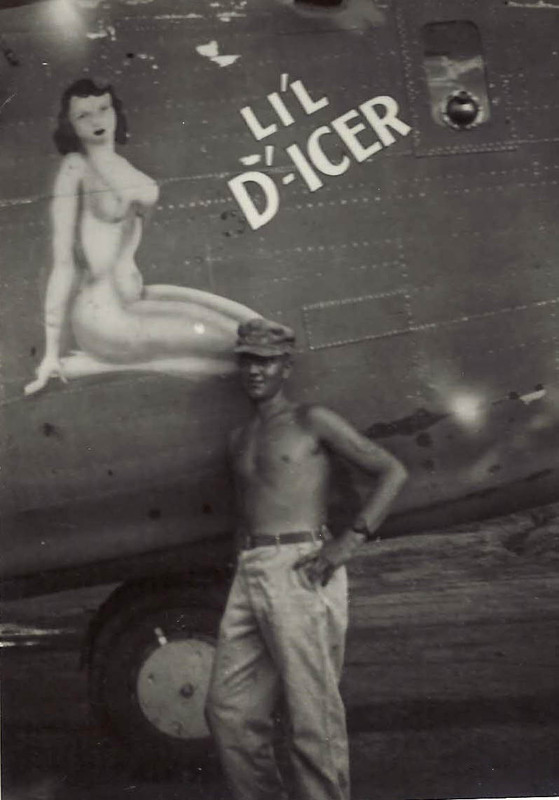 Also, the website for my book is www.dearestanna.com, there are pictures in the Photos tab of my Grandpa's time in the Pacific with the 380th. 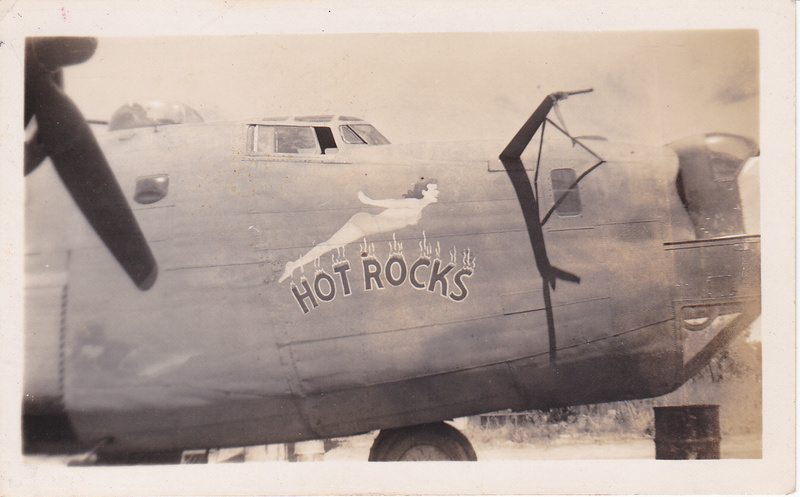 We so wanted to attend the Bomb Group Reunion this year as we so enjoyed meeting everyone attending last year in Colorado Springs. But that just cannot happen this year. Maybe next year. It was especially important for us as Gene [Stadler] passed away June 5 after his brave fight with recurring cancer. You might enjoy and appreciate this story. During the week before he passed, he asked for a shot of whiskey. No one saw a reason not to allow it. I recalled the story he told about lifting a shot glass with others in his crew in memory of those who had already passed away. I am convinced this was his final salute to that time in his life. We hope to see you next year, as Gene would say, "God willing." 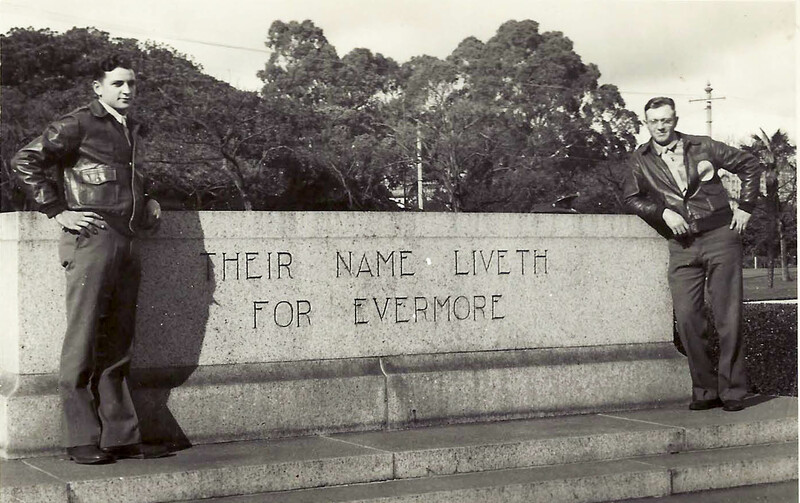 Hi, I am a retired RAAF Police Dog Handler. 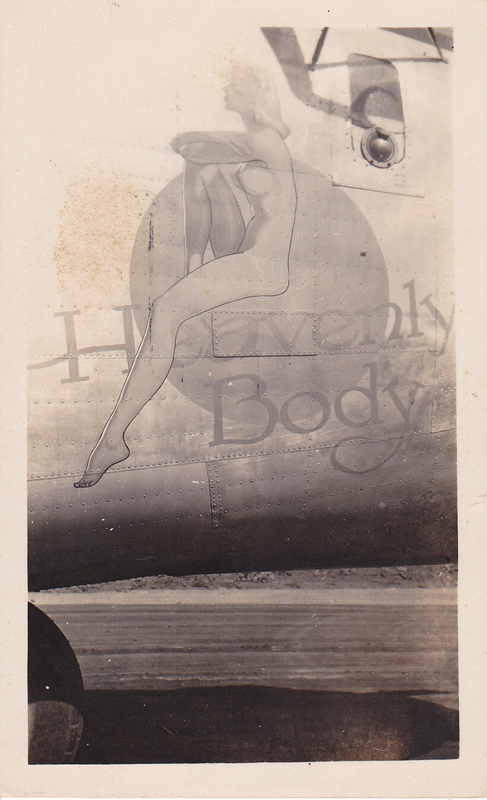 In 1971 a fellow dog handler gave me a small collection of photos of B-24 Liberators just showing their nose art. I can't remember how he came across them. 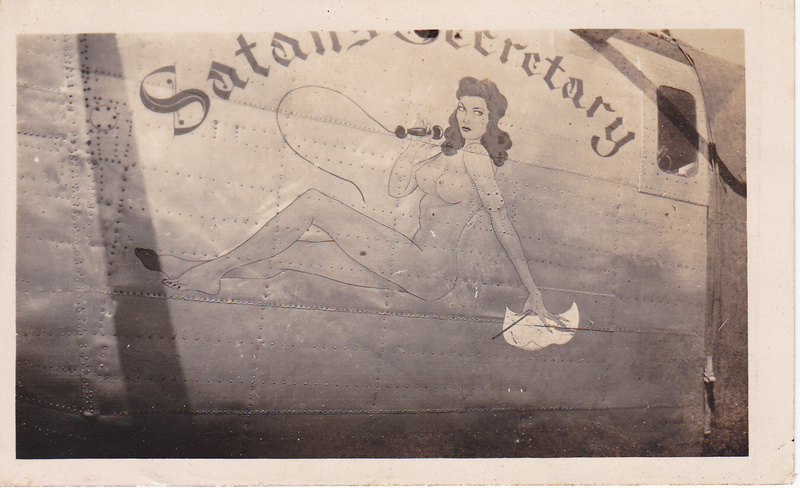 Yesterday I was going through my collection of photos when I remembered them, did a Goggle search on the aircraft nose art, and found they were from the 380th Bomb Group stationed at Darwin here in Australia. 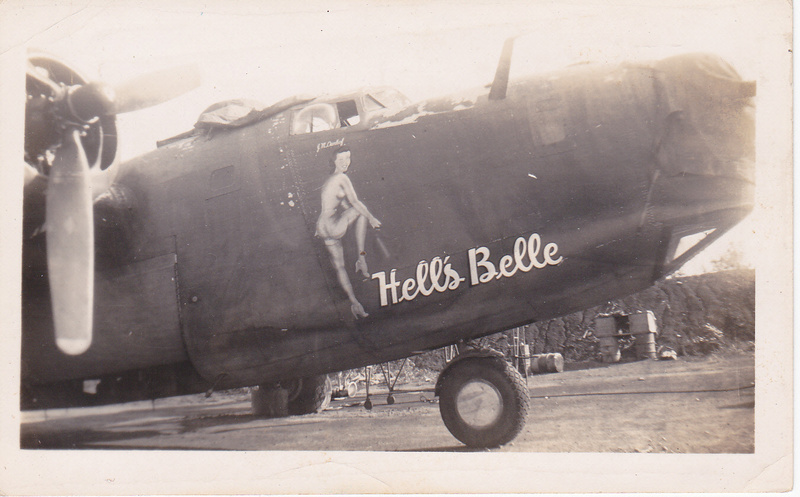 I have attached all photos so you may include them in your Association aircraft records if you like. 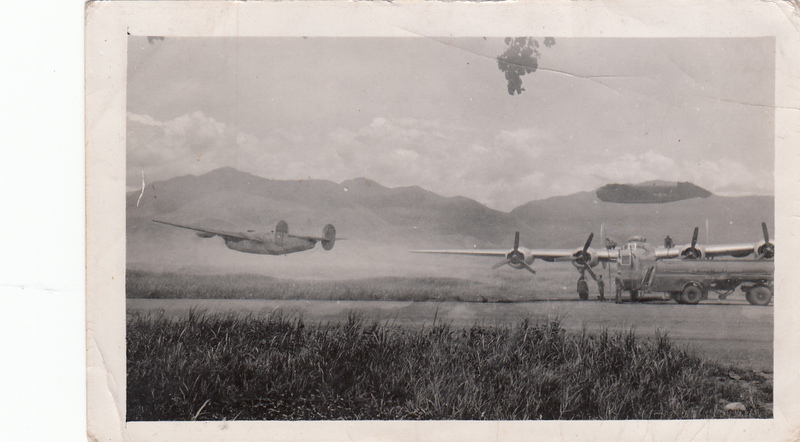 In doing some end-of-year house cleaning, I came across some old pictures of my dad during the war. 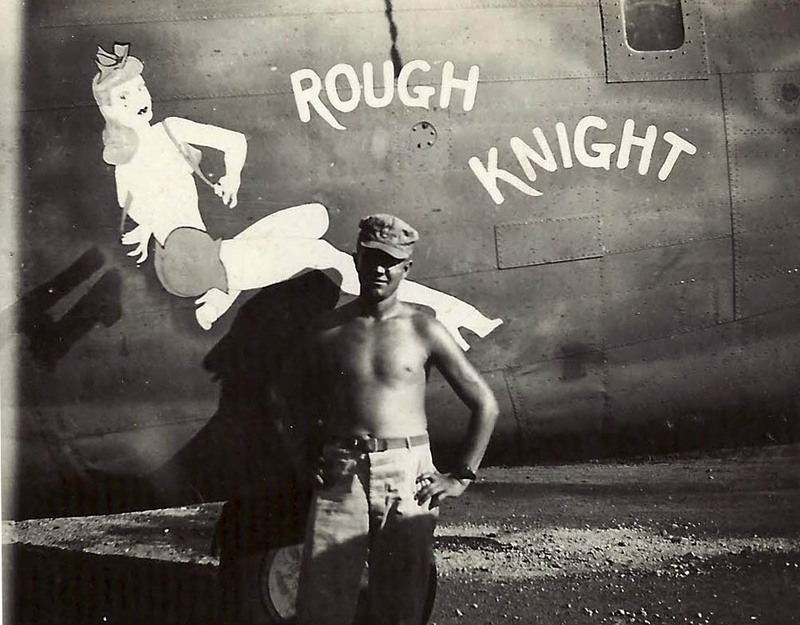 He was in the 530th Squadron and a sheet metal worker on the ground crew. 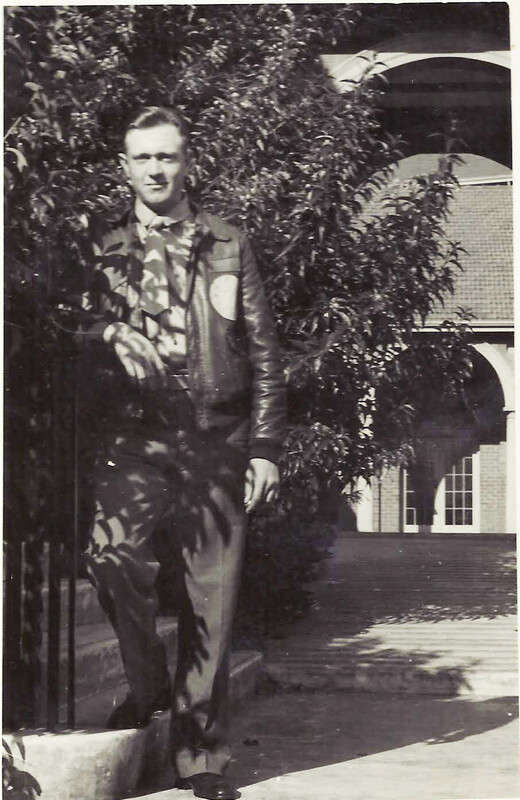 Clifford Eldon Dixon, # 37375701. 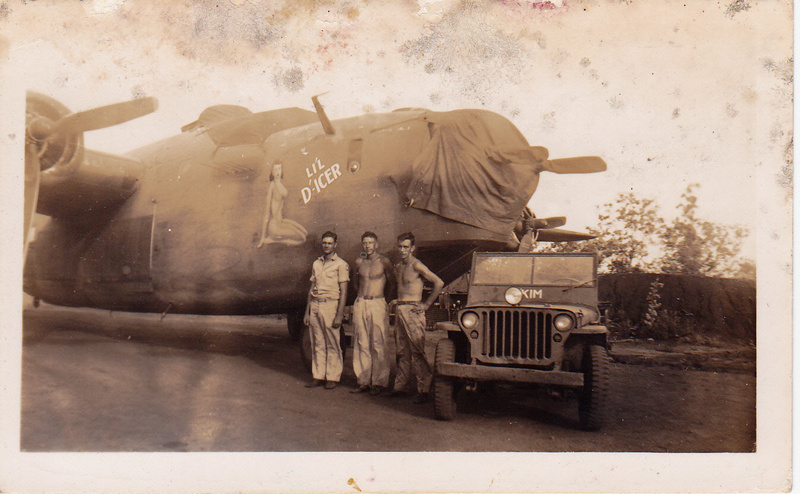 These old photos are of him with some of the planes he serviced. 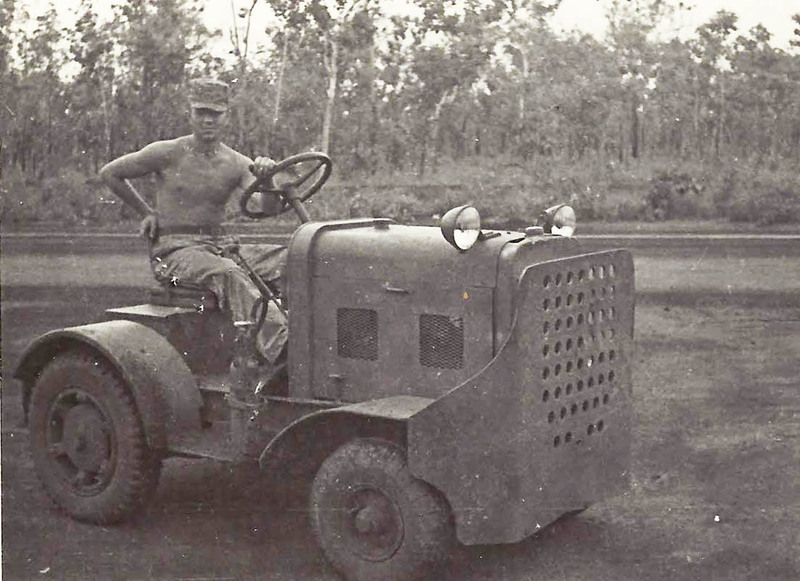 The pic of Dad in shirt and jacket is while on leave in Darwin. The other man in the pics is Sgt. Howard Beck. Thank you for all you do for all the boys in Dad's old unit. First, thank you for having information available on the internet. I have never met my husband's grandpa. I know of him only through family stories. It is wonderful to see information from when he was in the service. I was wondering if you keep pictures on file. It would be nice to have more pictures of my husband's grandpa, Archibald E. Handorf. 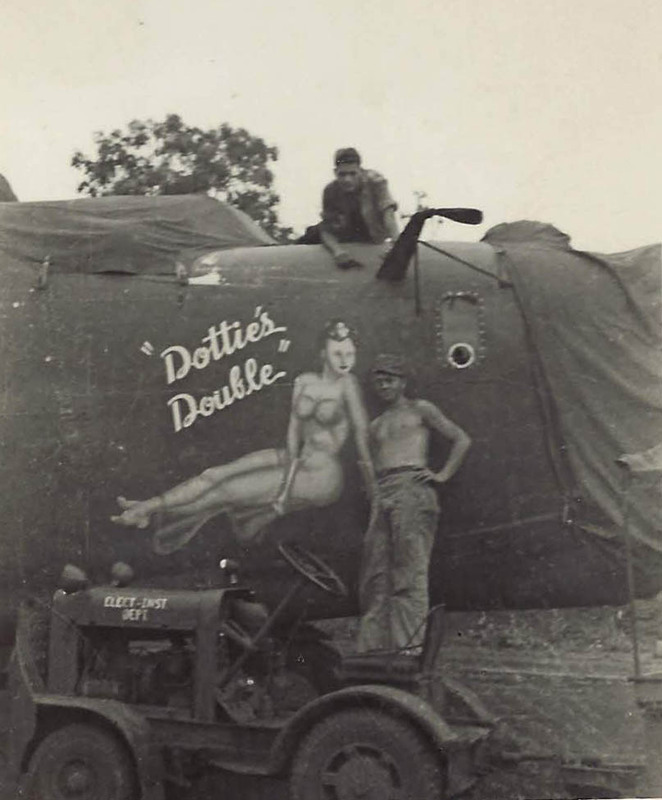 I have some pictures scanned into an old computer of Archie when he was in the service with other service members and Gus' Bus. I'm waiting for my husband to fix that computer so I can salvage the pictures saved on it. When he gets it fixed, I can forward pictures to you if you'd like. I was wondering if family members are welcome at reunions. 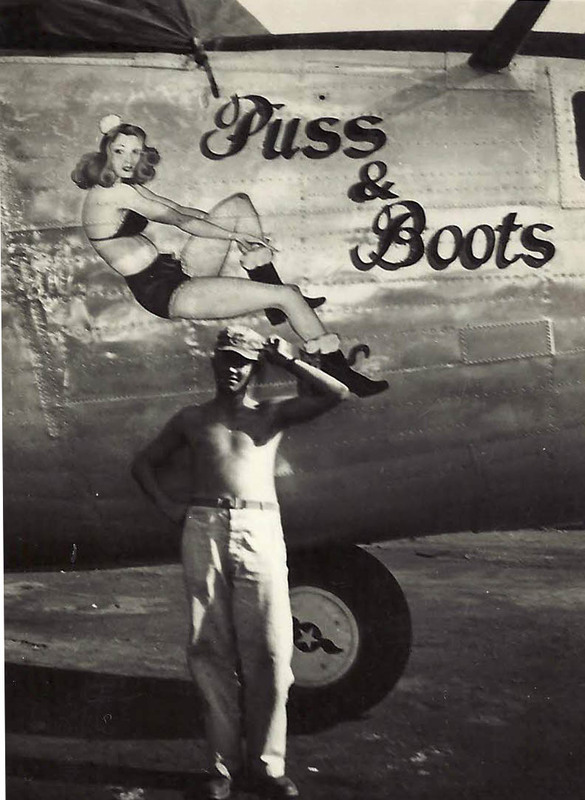 I'm not sure if there is anyone that knew my husband's grandpa. If there is, it would be a joy to visit with them. 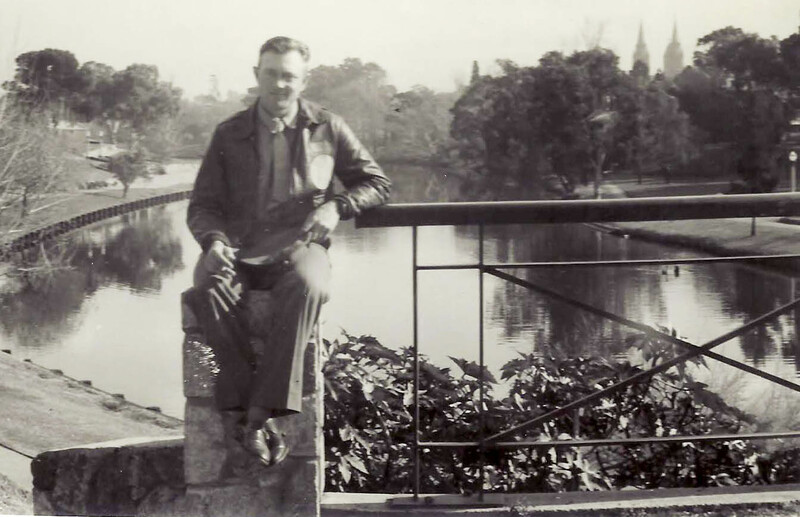 My late Father, Percival Keith Lakey, passed away on 01st January 2013, However, he preferred to use his middle name Keith, and his American friends nicknamed him 'Gus,' He was a member of the RAAF, who was seconded to the U.S. 5th Air Force, 380th Bomb Group (H) in 1943, and as I understand was sectioned predominately with the 528th Squadron. 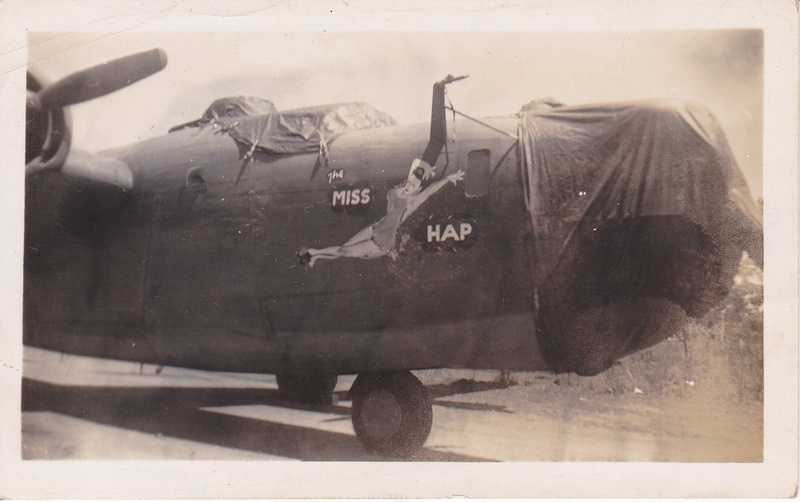 As I also stated I have uncovered some Photographs of Dad's time in Northern Australia with the 380th. 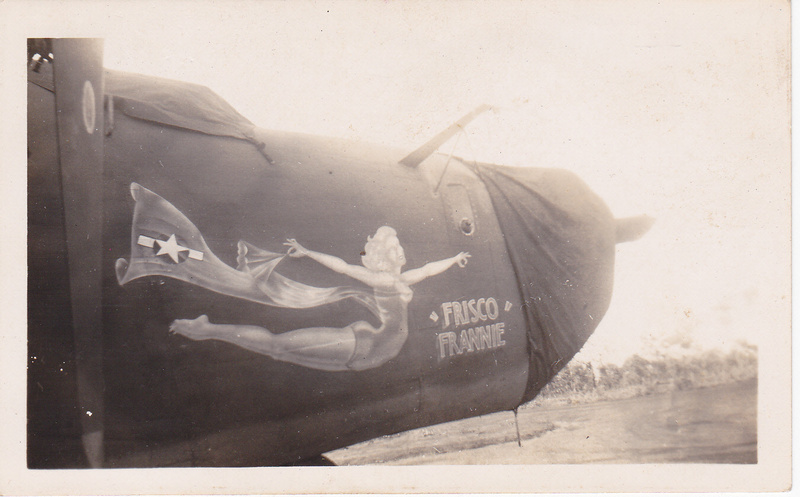 Also a few of S'sg Silvio (NMI) Potenzone, Gunner 528th, 32465401 (Burns' Crew 13-Gypsy). 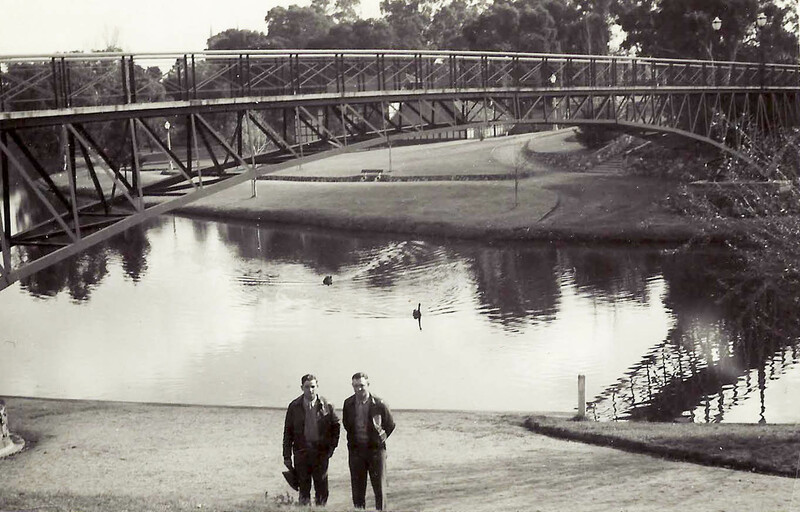 I can recall my father speaking very warmly of him and I would like to forward them to him or his family if possible.